Keep your books organized and within easy reach. Link the Storex book bins with label holder together to make a sturdy book storage or use the easy to grip handles to carry a set of books to your reading corner. The handles are perfectly sized for big and small hands. The bright color assortment makes this set perfect for color coding. The bin will fit taller books and letter sized file folders too. It will be easy to flip through your papers and books in this extremely versatile bin. Storex is committed to providing a stylish, quality product. Storex - built to function, designed to impress. Bring the convenience of crate storage to your desktop. 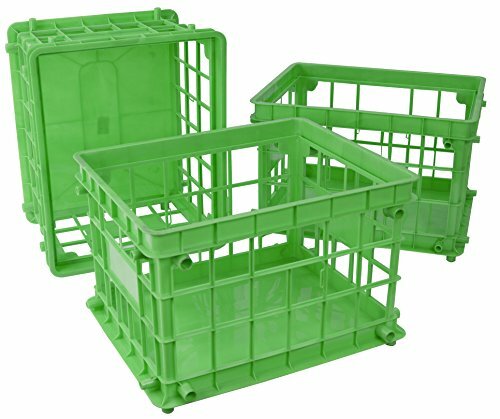 The Storex Mini Crate is the smaller version of the popular Storex Storage Crate. It features the interlocks and can be stacked in every direction to create a customized and unique desktop storage solution. With a solid bottom to keep smaller components contained, this mini crate will help organize your workspace efficiently and economically. Crate measures 9 x 7.75 x 6 inches. Case of 3. Storex is committed to providing a stylish, quality product. Storex - built to function, designed to impress. [Multi-purpose ] - Mesh file box is ideal for holding and displaying magazines, newspapers, mail, file folders, notebooks and other items. [Portable Filing System] - Simply fold when not in use, The integrated handle provides easy carrying so you can take them wherever they need to go. [Approximate Dimensions:] - 14W x 12-1/2D x 9-3/4H.It will fit A4 sized folders, papers, files, and other letter sized paper products. 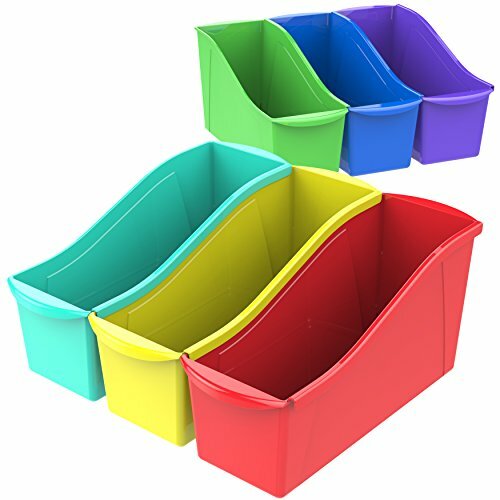 Storex Extra Large Book Bin - The Wide Book bins are the most versatile bins. Use them on 15 deep shelves and desktops or turn them sideways to fit into narrow 12 shelves and bookcases. They fit scrapbook paper, letter sized files and folder, and large magazines. Interior depth is 12 . They also feature the bright colors and integrated carry handles. Label pouches not included. 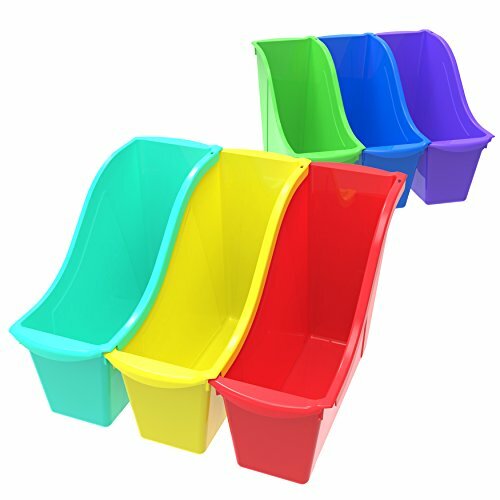 Bright colors are ideal for STEM or STEAM organization. The new Storex Large File Crate features rugged dependability with a more up-to-date style. 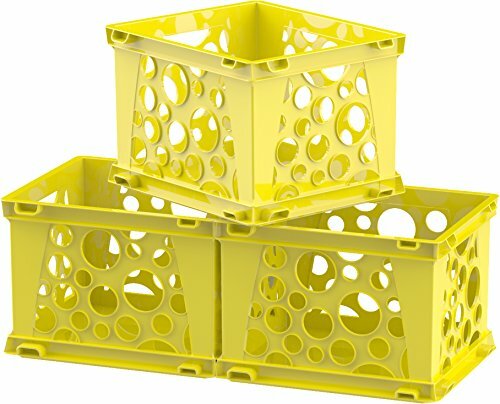 The traditional milk crate has received upgrades which include a solid bottom, easy grip handles, and improved drop test performance. It holds letter or legal hanging files and is fully stackable and connectable to create a unique and modular storage solution. Case of 3, Classroom Blue. Storex is committed to providing a stylish, quality product. Storex - Built to function, designed to impress. The new Storex Large File Crate features rugged dependability with a more up-to-date style. 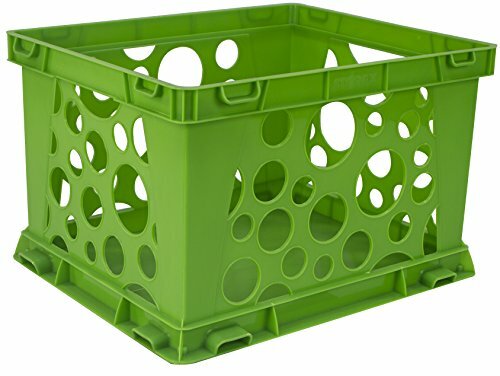 The traditional milk crate has received upgrades which include a solid bottom, easy grip handles, and improved drop test performance. It holds letter or legal hanging files and is fully stackable and connectable to create a unique and modular storage solution. Case of 3, Classroom Yellow. Storex is committed to providing a stylish, quality product. Storex - Built to function, designed to impress. 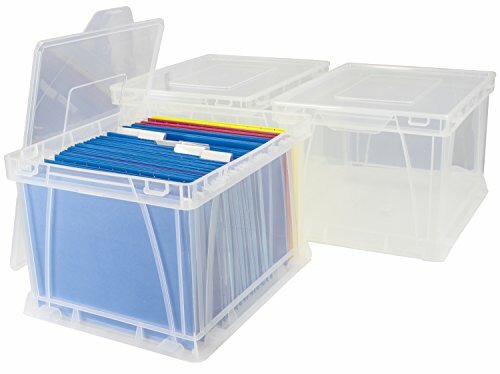 The Storex Standard Letter/Legal File Crate is designed to hold letter or legal sized hanging file folders. This lightweight and convenient storage solution holds up to 35 lbs. and fits up to 3500 sheets of letter paper or 3000 legal papers. Ideal for use in the home, office, pool, or car, this file crate measures 17.25 x 14.25 x 11.2 inches and is ideal for use at home, in the office, or in the car. White. Case of 3. Storex is committed to providing a stylish, quality product that is also environmentally friendly. Carry up to 35 lbs. Keep your books organized and within easy reach. Link the Store small book bins together to make sturdy book storage or use the easy to grip handles to carry a set of books to your reading corner. The handles are perfectly sized for big and small hands. 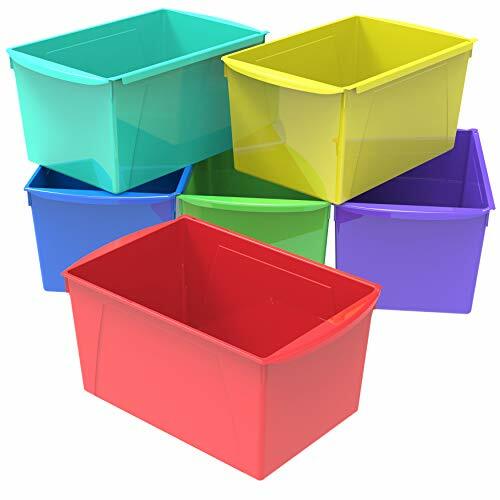 You can identify each bin by the bright color. The new Storex Large File Crate features rugged dependability with a more up-to-date style. 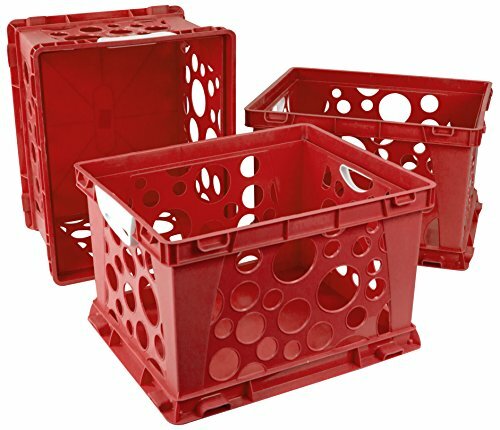 The traditional milk crate has received upgrades which include a solid bottom, easy grip handles, and improved drop test performance. It holds letter or legal hanging files and is fully stackable and connectable to create a unique and modular storage solution. Case of 3, Classroom Green. Storex is committed to providing a stylish, quality product. Storex - Built to function, designed to impress. 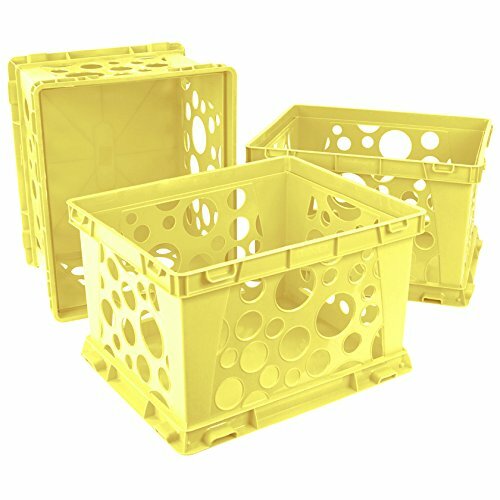 The Storex Recycled Filing Crate with Comfort Handles features rugged dependability with a more up-to-date style. 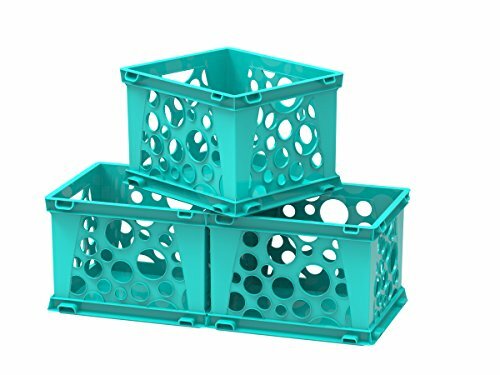 This traditional milk crate style has received upgrades which include a solid bottom, easy grip handles, and improved drop test performance. It holds letter or legal hanging file folders and fits up to 3500 sheets of letter paper or 3000 legal papers. The built in handles allow you to carry up to 50 lbs. comfortably. Crate measures 17.25 x 14.25 x 10.5 inches. Purple. Case of 3. Storex is committed to providing a stylish, quality product that is also environmentally friendly. The new Storex Large File Crate features rugged dependability with a more up-to-date style. 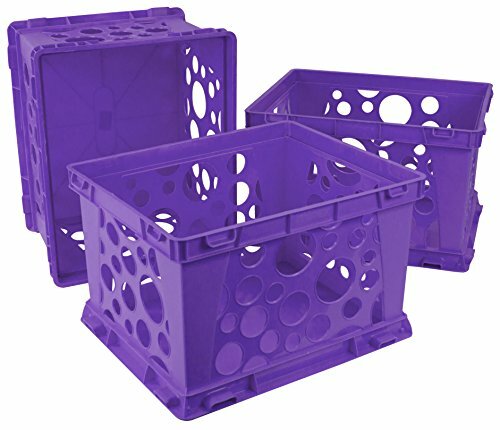 The traditional milk crate has received upgrades which include a solid bottom, easy grip handles, and improved drop test performance. It holds letter or legal hanging files and is fully stackable and connectable to create a unique and modular storage solution. Case of 3, Classroom Purple. Storex is committed to providing a stylish, quality product. Storex - Built to function, designed to impress. Can be used the in the home, office, pool, or car. Crates are lightweight, portable, and convenient. The Storage and Filing Cube from Storex will hold anything in any environment. Use it to store your letter or legal hanging files and folders or around the home to organize any space. Fits up to 3500 sheets of letter paper or 3000 legal papers. The handy boxes stack in every direction even with the cover on. 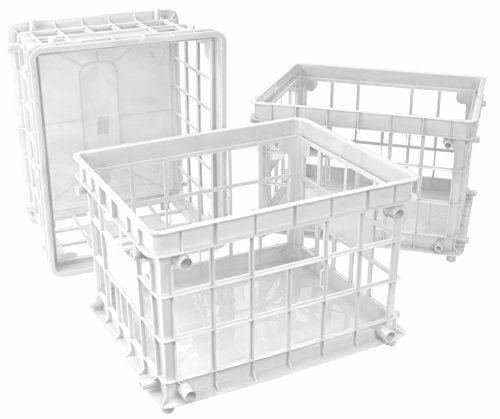 This storage cube is built rugged to withstand tosses, tumbles and heavy loads. Cube measures 17.25 x 14.25 x 10.5 inches and can hold up to 50 lbs. Storex is committed to providing a stylish, quality product that is also environmentally friendly. Clear. Case of 3. 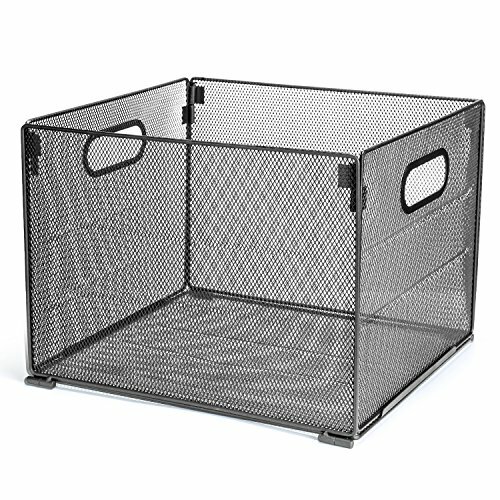 The new Storex Premium File Crate with Handles features rugged dependability with a more up-to-date style. 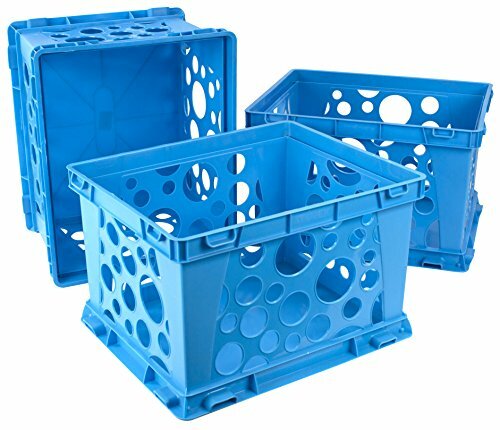 The traditional milk crate has received upgrades which include a solid bottom, easy grip handles, and improved drop test performance. It holds letter or legal hanging files and is fully stackable and connectable to create a unique and modular storage solution. Case of 3, Classroom Red. Storex is committed to providing a stylish, quality product. Storex - Built to function, designed to impress. 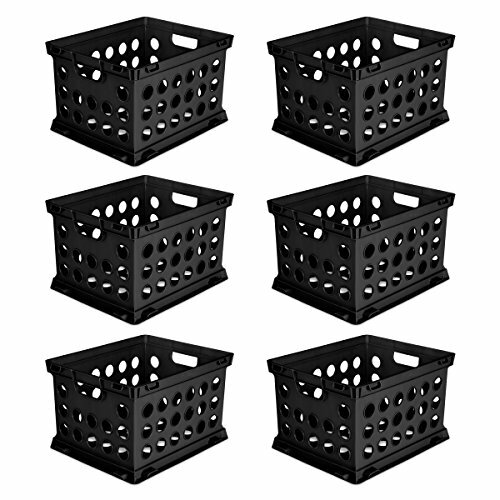 Get organized with the Storex Standard Letter/Legal File Crate. It can be stacked in any direction to create a customized and unique storage solution. 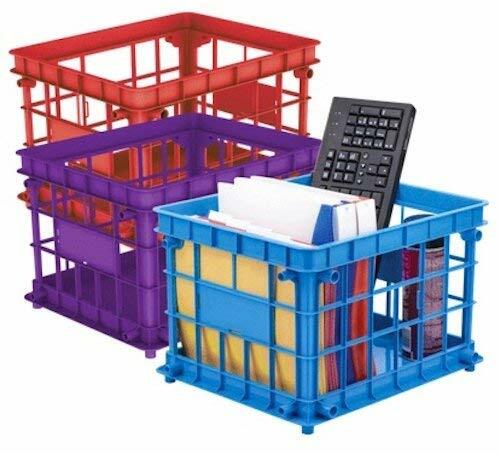 With a solid bottom to keep smaller components contained, this crate will help organize your home, office or car efficiently and economically. Lightweight and convenient, crate measures 17.25 x 14.25 x 11.2 inches and is designed to hold letter or legal hanging file folders. Case of 3. Storex is committed to providing a stylish, quality product. Storex - Built to function, designed to impress.